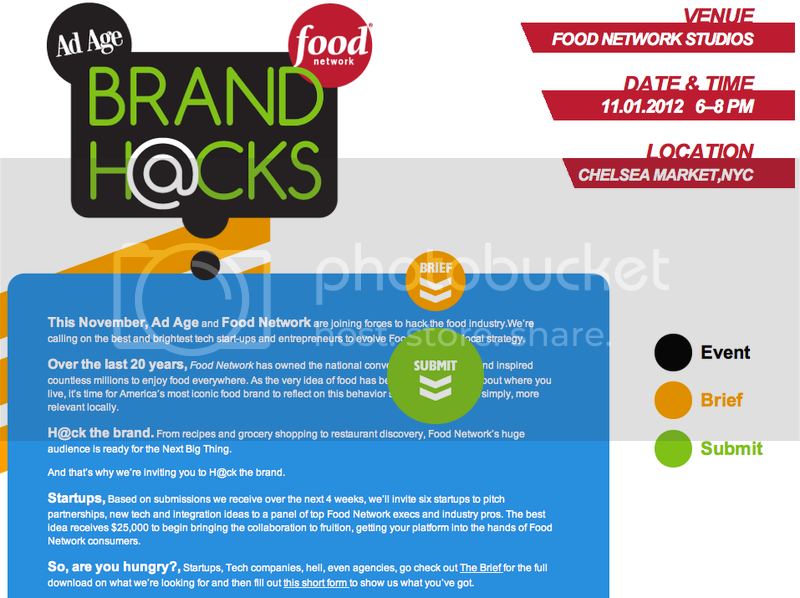 Got a partnership idea for the Food Network? The network and Ad Age are calling on tech start-ups to shake things up. In a new contest launched today, start-ups are asked to review a brief and six will be invited to pitch their idea to the Food Network with the winner receiving a $25K partnership to make things happen. Click the graphic below to learn more.